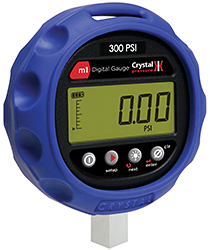 The m1 digital pressure gauge maintains 0.2% of reading accuracy from -10 to 50°C. Accuracy is not affected by dropping, over-pressure, vibration, temperature, or rapid pressure change. Available as a 30 psi digital manometer.